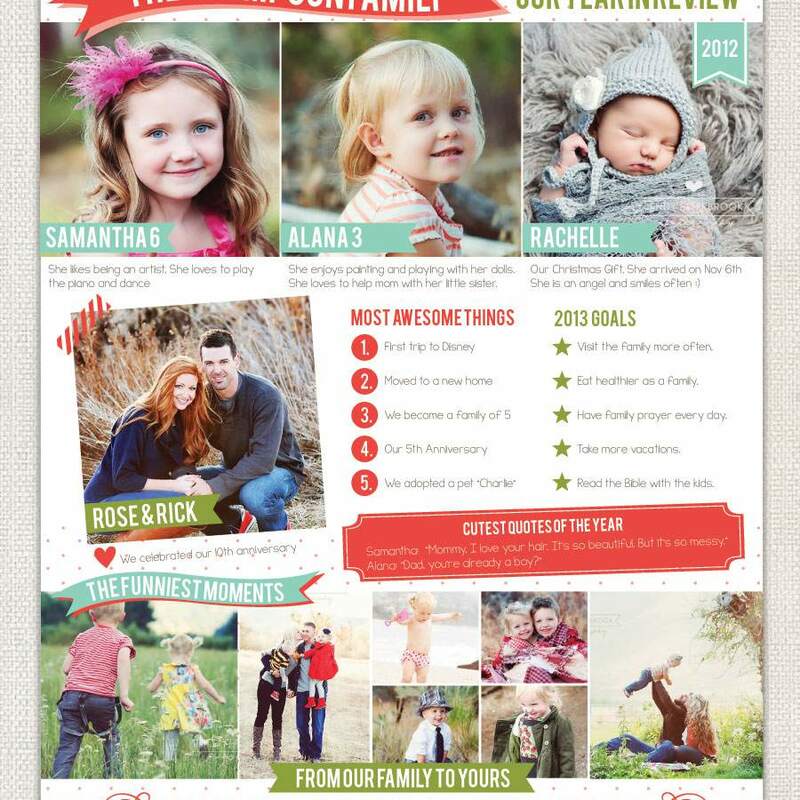 Using a Christmas letter template for your holiday family newsletter will make it quick, easy, and beautiful looking. These templates have everything you need to get started creating your letter. There are colorful designs, spots for photos, and places to put your text. You can be as creative with them as you'd like to be by adding your own elements or just popping in photos and text. Keep in mind these tips for writing your letter and it's a great idea to throw in some Christmas card quotes. After you've used one of the free Christmas letter templates, print it off on regular computer paper and then put it in an envelope with your printable Christmas card or holiday photo card. Add an address label and stamp, and you're ready to go. If none of these free Christmas newsletter templates are what you're looking for, consider using some free Christmas stationery to create your own. You'll have the best looking newsletter on the block with this free Christmas letter template from Bird Design. Green, orange, and teal set this newsletter apart and there's plenty of room for over ten photos, picture captions, details on the year, and fun banners and holiday phrases. The download includes instructions on where to find the matching free holiday fonts and the .PSD file that can be edited in Photoshop, Photoshop Express, or a free graphics program. The Dating Divas has a Christmas letter template that's formatted as "a family year in review." with plenty of room to share photos, quotes, stories, milestones, and memories. There are three other designs here that include a year in review for newlyweds, our travel year in review, and our favorites year in review. You'll adore this free Christmas letter template from Shabby Blogs. In light pastel colors, you'll be able to tell all your friends and family about the year you've had. Download this .JPG in a photo editor and add your own custom text. Although there are no photos here, it would be easy to add them yourself. 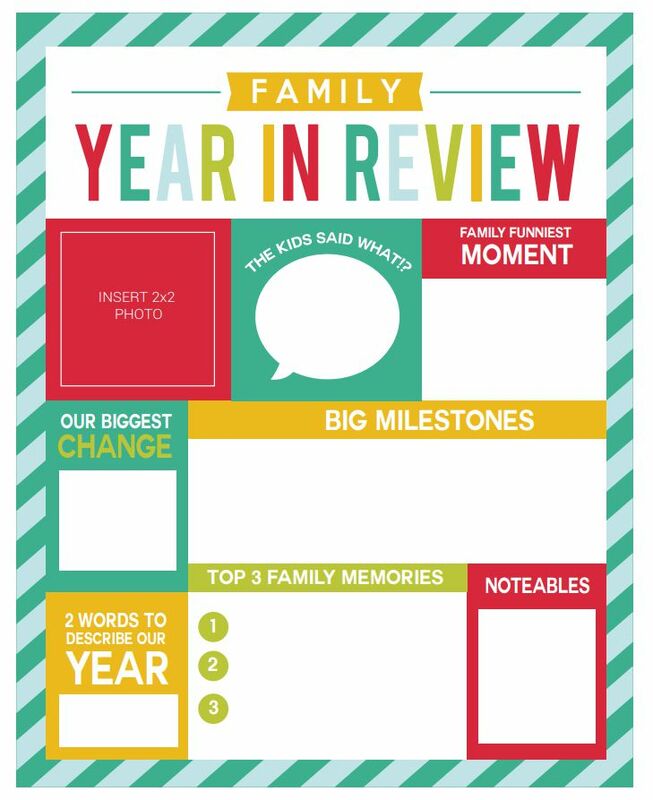 A Year In Review Template from Lacey Writes. This Year in Review Christmas letter template designed by Lacey Buchorn is in a stylish black, red, and white color scheme and has a place to tell your friends and family what everyone in your family has been up to this last year. The free PSD download includes an editable file and a list of free fonts you can use to get the same look. This lovely Christmas letter template is just what you need to create a newsletter that has enough space to write about your whole year. You also have places to add two photos, a date, and customize your own title. Download this free holiday newsletter template as a .PSD file and edit it in any photo editing program. Here's a free Christmas letter template that can be edited in Microsoft Word or another word processing program. This design features green Christmas bulbs along with red accents. It's a two-column newsletter template and you can change all the text in the newsletter and even import photos into it. There are three other Christmas letter templates available here as well if you're looking for a different style. The Simply Crafted Life has created this free holiday newsletter template in a modern chalkboard style. You can customize this newsletter using whatever headings and text that you want to make it your own.